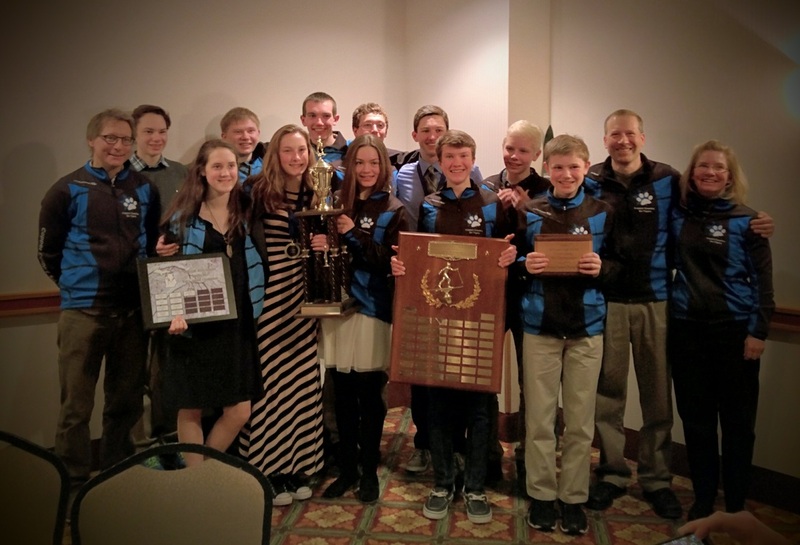 2017 Michigan High School Nordic Skiing Champions -- Copper Country Ski Tigers! 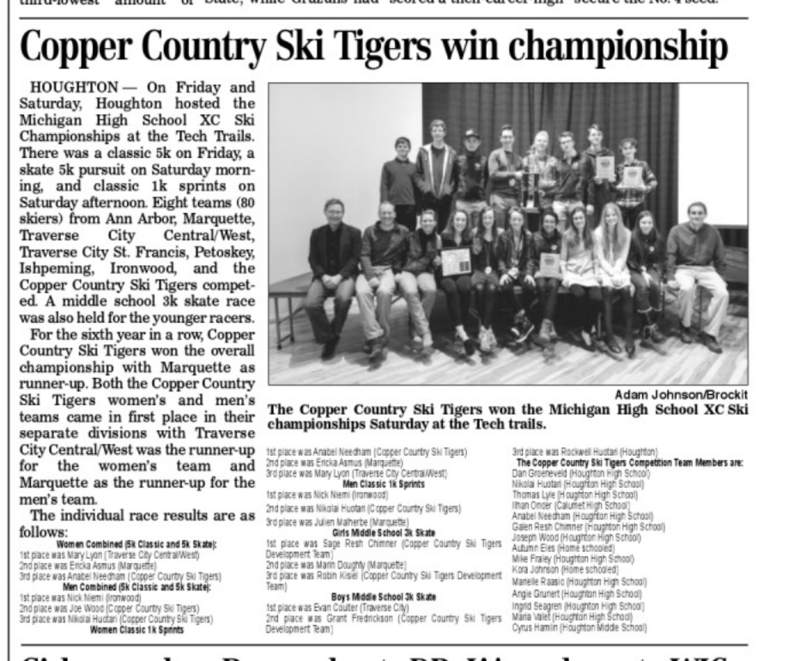 Warm & Sunny weather made for icy conditions in the morning and slushy conditions in the afternoons, but the Copper Country Ski Tigers prevailed coming away with the state title for the 5th year in a row. ISHPEMING — The Great Lakes District Super Bowl Junior National Qualifier Classic wrapped up their two-day ski races Sunday afternoon at Al Quaal in Ishpeming. 9 Ski Tigers competed in the Super Bowl GLD JNQ this past weekend held in Ishpeming, MI. Click here for results and pictures. Big Thanks to the KCF! Big thanks to the Keweenaw Community Foundation (KCF) for helping fund the purchase of new uniforms for our competition programs. Mitchell DeLong, Matt Chard and Anabel Needham joined 20 other top junior skiers from across the Central Region for one week of rigorous training and testing at the Central (CXC) Regional Elite Group (REG) Camp. Bryan Fish, US Ski Team Development Coach attended to assist with the coaching and testing. REG camps are just one stage of the overall U.S Cross Country Development Program Fish has throughout the year.